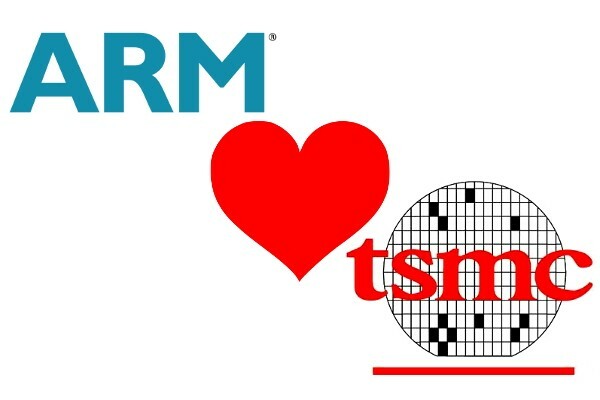 ARM and TSMC has collaborated on making the first 20nm FinFET Cortex A57 chip, even though the first time we were supposed to see FinFET chips from TSMC was at the 16nm process. This is not meant for production, however, and it was done just to get enough experience for when they move to the 16nm FinFET process. FinFET is a completely new technology, that arranges the transistor gates in a 3D way, which leads to less leakage, and more efficient chips. Because it’s so new and still experimental for new companies, they don’t want to risk having a lot of issues when they launch it on 16nm. So they try to learn as much as possible about it right now, before they move it to the 16nm/14nm process. Then they will only have to deal with moving to the 16nm, and be less worried about unexpected problems with FinFET. 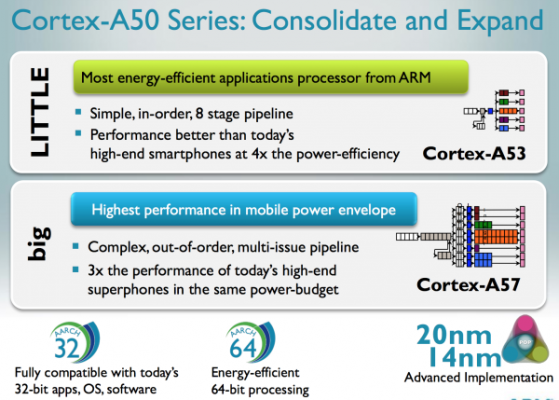 Cortex A57 is the first ARMv8 chip, and it’s supposed to arrive on the market some time in the second half of 2014, although it might arrive a little earlier in servers. Cortex A57 is supposed to be 20-30% faster than Cortex A15, at the same clock speed, although considering Cortex A57 will arrive at 20nm (not FinFET, though), we’ll probably see a rise in clock speed, too (2.0-2.2 Ghz or so). Cortex A57 will start representing a real threat to x86 and Intel chips, because it will be the first 64 bit ARM chip, so it will be able to support as much RAM as needed, and we’re already getting at the point where ARM chips have enough performance for general use cases for our computers. Cortex A15-based chips will probably be 50% or so faster (counting both IPC and clock speed increases) than this year’s Cortex A15-based chips. Then, in 2015 and 2016, we’re looking at Cortex A57 and even better ARM chips that will finally start being made on a FinFET process. By then ARM chip foundries will match Intel in both the FinFET process and the node shrink. And then both Intel and ARM chips makers will compete on a much more equal level, on performance, energy efficiency, and price. Samsung Galaxy S5: What’s New?